Marine seismic surveying is a form of scanning using sound waves that gathers information about the rock formations below the seabed. It helps geoscientists to understand whether oil and natural gas reservoirs lie beneath the sea, without disturbing the seabed. 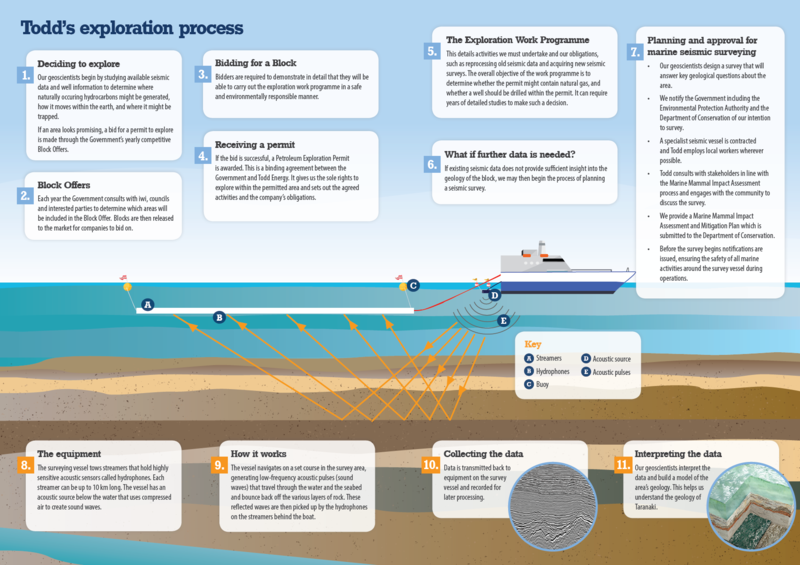 In this fact sheet, you can learn about Todd’s approach to marine seismic surveying in New Zealand.